It’s National Poetry Day today with the theme of ‘Heroes and Heroines’. Whilst being very much a reader and hopefully an appreciator of good quality writing, I’m not particularly a person that reads poetry so much. some of it leaves me a little confused or even underwhelmed. I was however brought up on Burns, Byron and a little Shelley, Keats and Wordsworth etc. for good measure. I still appreciate some of that wonderful work. 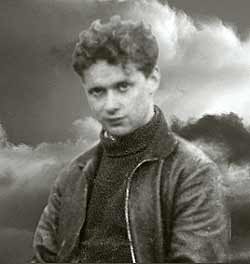 As a young teenager I discovered, amongst others, Dylan Thomas. I loved much of what he wrote and one poem in particular that really ‘spoke’ to me. I’d like to offer this as my favourite poem for National Poetry Day today. Do others, whilst not being necessarily that interested in poetry, have a particular piece of verse that they enjoy, that means something to the them personally maybe? Perhaps a little piece of earthy verse from the great Robert Burns for any fellow Scots out there? Even a ‘Boy stood on the burning deck’ limerick! It all counts. I love poetry but I love rhyme, I love lyrics… I should be part of a day that celebrates bad poetry. 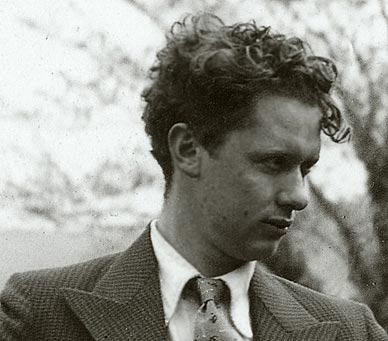 Dylan Thomas should not. A wonderful poem that leaves me feeling a little sad. Thanks for your interesting comment, Daffy! I agree, a sad poem in many respects, especially if you have worked with people with various disabilities as I have had the good fortune to. I think it just serves to show the power that the written word can have over us, in many different ways. Sorry about introducing that particular ‘ear worm’. 🙂 I hope you can replace it with a nice lyric or piece of verse or two over the day! I too find the whole poetry thing a bit of a challenge. I am trying to be up-beat and interested in it as I teach the kids and having only to bother with Robert Louis Stevenson’s Child’s Garden of Verses and A A Milne it’s a gentle start for me lol! Off topic: are you going to be running in the World Half Marathon this weekend? If so you’ll be running past our house. I won’t be running that race unfortunately or I’d certainly give you a wave (of I had the energy!) My next one is the Worksop Half Marathon here in Nottinghamshire through the beautiful Clumber Park. Remember to have some sweeties ready to throw at the runners! If I had know that I would have entered!